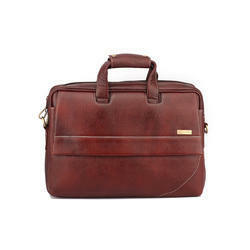 Since the inception of our firm in this nation premises, we are engaged in providing with a highly durable and resilient assortment of Men Office Bag. M & D Global Pvt . Ltd.
Men profile bag, Italian Leather, Remarkable craftman ship and metal hardware. 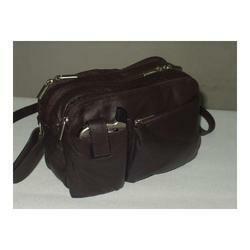 We are engaged in offering an excellent quality range of Men's Office Bags. In order to fabricate these bags, we use high grade basic material with latest techniques. We offer these bags in a variety of patterns, designs and styles to meet different choices of clients. Owing to our rich industry experience, we are manufacturing and supplying a vast array of Stylish Office Bags. These bags are manufactured using excellent quality material that is sourced from most trusted and reliable vendors of the market. Our range is applauded for its elegant look, perfect stitch and excellent finishing. Canvas Office Bag, Size: 41x12x30 Cm.